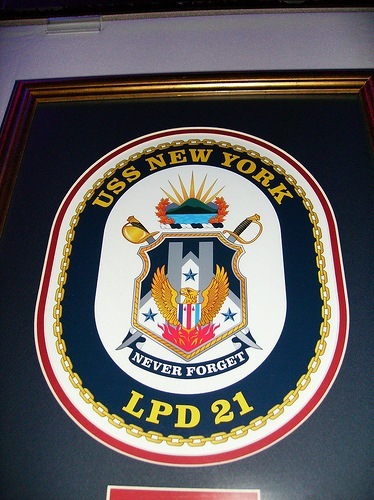 USS New York (LPD 21) takes more than 7.5 tons of steel in her bow from the wreckage of the World Trade Centre of September 11 terrorist attacks. 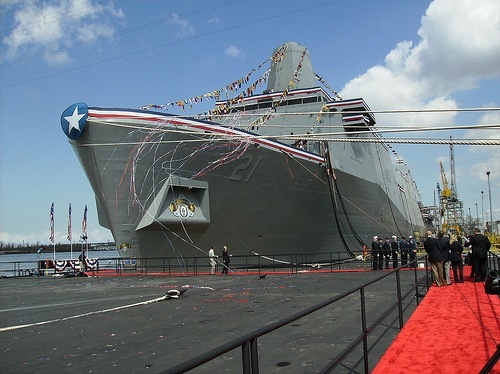 Many people including families of the 9/11 victims, attended the christening of the USS New York in Louisiana on March,01. When the attack took place, the ship was planned but had no name. The 25,000-tonne vessel,with $1 billion (£504 million) budget is the fifth in a new class of warship. The ship due for commissioning in 2009 is designed for missions including special operations against terrorists. She can carry a crew of 360 and 700 combat-ready Marines to be landed ashore by helicopters and assault craft. USS New York (LPD 21), has successfully carried out builder’s sea trials this week in the Gulf of Mexico. LPD 21 is under construction at the Northrop Grumman Corporation’s Avondale facility in Louisiana. Northrop Grumman Shipbuilding’s test and trials group tested LPD 21′s main propulsion, communications, steering, navigational, radar and other exercises including anchor handling, flight operations, compartment air balancing and ballasting/de-ballasting of the well deck, where amphibious landing craft will be launched. Read more from Northrop Grumman. 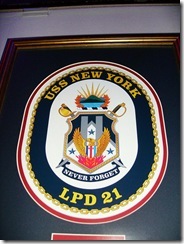 The future USS New York (LPD 21) completed Acceptance Trials on July 24. 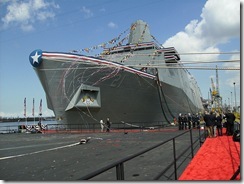 Commissioning is scheduled on November 07, 2009 in New York City. Read more from U.S. Navy. The U.S.Navy officially accepted delivery of the future USS New York (LPD 21) from Northrop Grumman Shipbuilding (NGSB) during a ceremony on August 21 at the company’s Avondale shipyard in New Orleans. Read more from U.S.Navy.